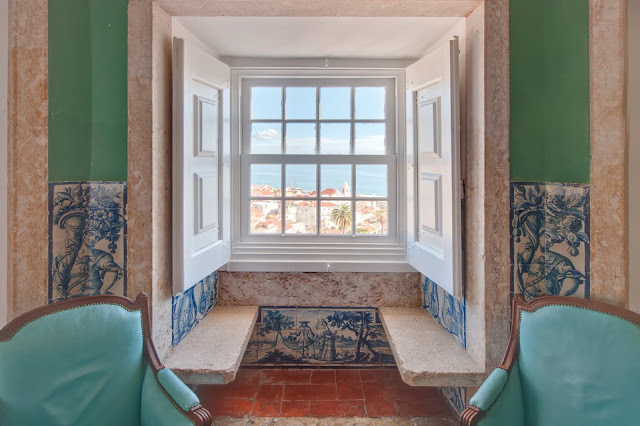 Once upon a time Portugal’s history was highlighted by tales of daring discoverers who came to the New World, leaving their imprint on the world map. At the time, tales of kings, queens and other royalty played out on the pages of Portuguese history, rife with legends of passion, lust and unrequited love. While some of these may have been embellished, remnants of their lives have been imprinted in some of the palaces, castles and monasteries where they lived, leaving us with a fascinating and even magical view of the past. Fortunately for 21st century travelers, many of these have been converted into luxurious hotels offering World Class creature comforts where we can comfortably tuck ourselves into very pleasant accommodations, assuring us very sweet dreams. No matter which one you choose, you’re sure to be treated like royalty throughout this genteel country. 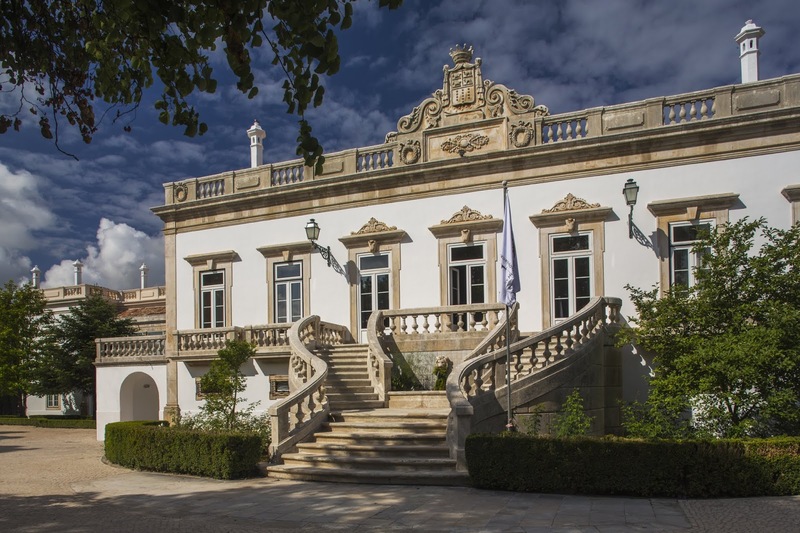 Don’t be surprised, as you wander through the lush gardens of this 14th century palace once owned by King Pedro, if you feel a palpable melancholy as you view the remnants of a tragic love affair between the king and his mistress Inês de Castro. Today, this fully restored member of Small Luxury Hotels of the World located in Coimbra features 52 luxurious rooms and suites tucked into either the palace or in the newer garden and spa buildings. Two pools, a nine-hole pitch-and-putt course and a full-service spa promise relaxation. Dining is served in the elegant Arcadas Restaurant, the romantic Pedro & Inês or in the casual Gastrobar. You’ll get a small taste of the royal treatment you’ll be getting on check-in when you’re served a complementary cherry liqueur (Ginja) served in a tiny chocolate cup. It just keeps on getting better and better after that. 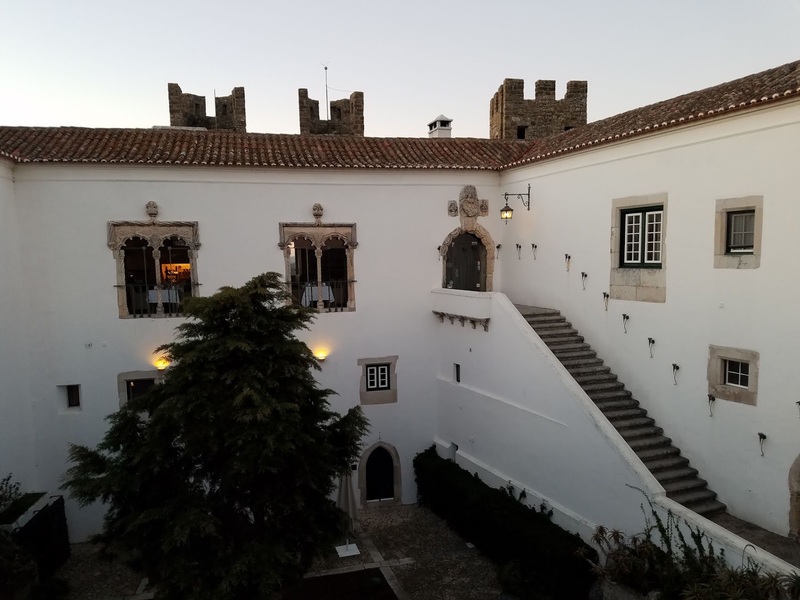 This luxurious throwback to a kinder, gentler age can be found in this 12th century castle given by King Dinis to his wife Queen Isabel on their wedding day here in 1282. There are 14 comfortable rooms inside the castle – three of them in the tower - and in the attached Cottage House. All of them offer modern creature comforts and top-drawer amenities, including TV, mini-bar, safe, designer toiletries, robes and free Wi-Fi. The charming restaurant, located in the castle dishes up tasty regional cuisine. Be sure to walk around the magical walled village of Óbidos while you’re there. Dating from 1787, the halls of this posh palace reverberate with an aura from the past. Located in the former “Xentra,” (modern-day Sintra) it was built by Dutch Consul Daniel Gildemeester on lands granted by the Marquis de Pombal. Today, this UNESCO World Heritage site transformed into a luxury boutique hotel boasts 30 luxurious rooms furnished with priceless antiques, highlighted by stellar services, paving the way for a regal experience. Dine in splendor surrounded by touches from Portugal’s illustrious past. Tasty regional cuisine, and soothing live piano music set the stage for a memorable evening. Be sure to slip into the cozy wine bar for a nightcap before venturing out for a stroll in the orange grove. A pool and small spa afford a soothing respite after a day of sightseeing. This venerable palace - home to Portuguese nobility dating back to 1449 - sits atop ancient Moorish ruins near São Jorge Castle in Lisbon. 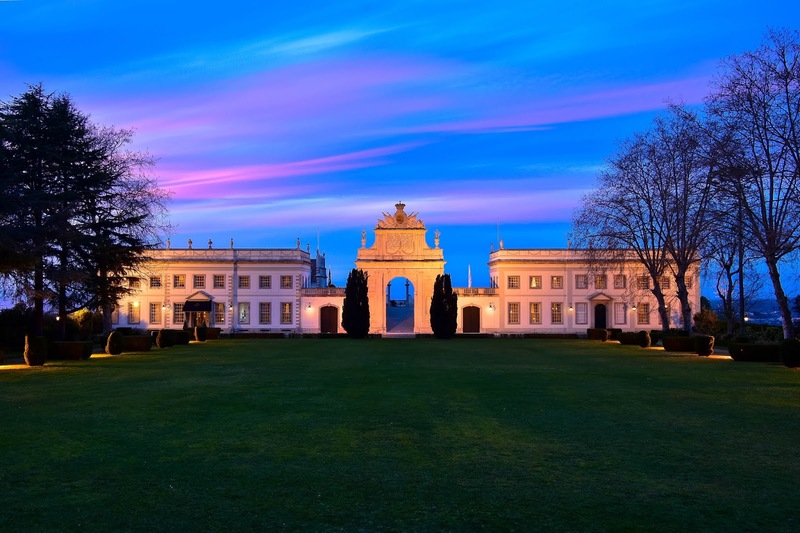 Although it’s known as one of the most distinguished hotels in the Portuguese capital, you won’t find TVs anywhere, but you will find hospitality fit for a king – or queen. There are 10 unique suites furnished with classical as well as 21st century furnishings and amenities. Lush gardens showcase a black marble infinity swimming pool while a wide terrace reveals breath-taking views of the ancient Alfama District below. Set on the banks of the Rio Douro, less than two miles from the World Heritage City of Porto, this former 18th century palace is home to a luxurious hotel with 87 rooms and suites incorporated in two historic buildings: a palace once owned by Portuguese nobility and a 19th century soap factory. You can expect a totally regal experience in this member of The Leading Hotels of the World, highlighted by world-class amenities and stellar service. Indoor and outdoor swimming pools combine with a Turkish bath, Jacuzzi and Magic Spa offering signature treatments to guarantee a relaxing experience. Guestrooms have air conditioning, cable TV, mini bar, hairdryer, safe, telephone and free Wi-Fi. 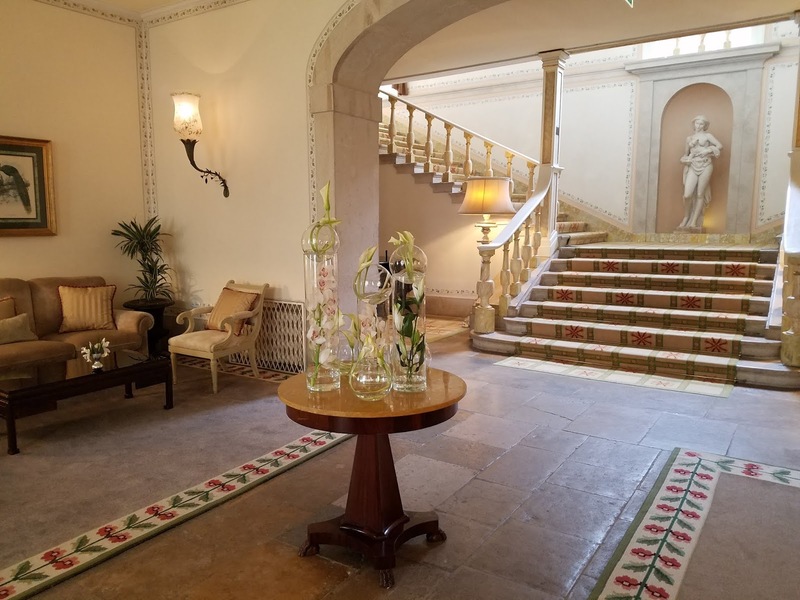 Bar Nasoni is where you’ll be treated to wonderful river views, all day dining and regional wines, while the sophisticated Palatium Restaurant dishes up more formal fare in a regal setting. 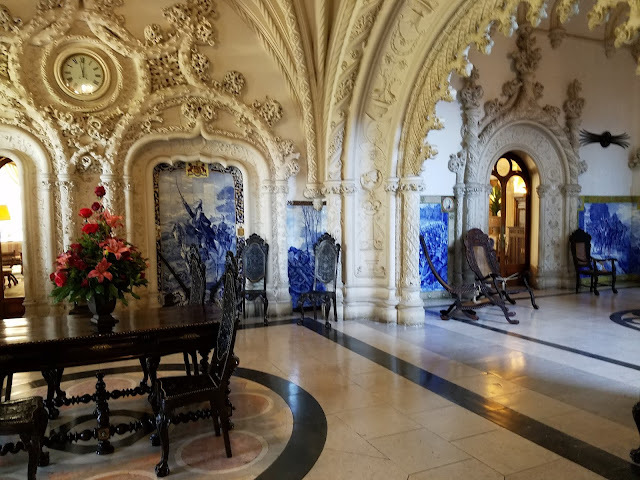 Built in 1885 for the last king of Portugal, this fabulously ornate fairytale palace claims the title of being one of the most romantic hotels in the world. Manueline architecture with sweeping corridors dotted with typical blue “azulejos” (tiles) lead past exposed stone arches to 60 spacious guestrooms and suites. Highlighted are trappings of “old” Portugal enhanced by some modern-day amenities. Don’t expect an abundance of 21st century frills, but all rooms do offer satellite TV, hairdryer, direct-dial telephone and heat – much appreciated in these old buildings in the winter. Some rooms have mini-bar and AC, balconies and private terraces. The formal dining room is the perfect backdrop for an enchanting dining experience featuring tasty regional fare. Renting a car is also made easy, thanks to Auto Europe. Just book your reservation before you leave home and they'll have your car ready for you when you get there. Be sure to ask for a transponder for road tolls.